Experience Elmwood Park Zoo, a 90-year old institution that is anything but old-fashioned. The animal encounters are designed for maximum viewing, and educators frequently take to the pathways with friendly, furry creatures right by their sides. Students can eat at Treetop Café before hand-feeding a burly bison or a gentle giraffe. 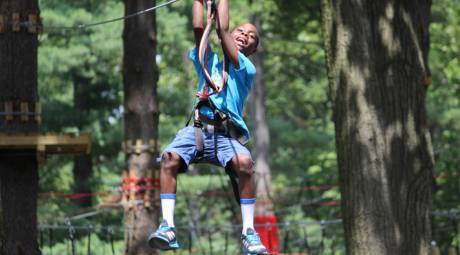 Throw some exhilaration into the curriculum at the onsite Treetop Adventures, a zipline that sends students soaring right over the animal enclosures. Go to new heights at Spring Mountain Adventures on canopy tours that flexes both mental and physical muscles. Planning a visit during the winter months? The mountain is seasonally groomed for skiing, snowboarding and tubing. Keep the adrenaline racing at iFly King of Prussia, the area&apos;s newest thrill. 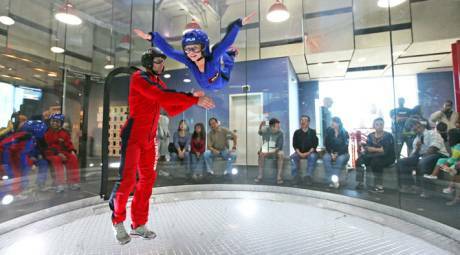 It&apos;s indoor skydiving, meaning it&apos;s got all the freedom of flight without the need for an airplane or parachute. The iFly staff can augment a visit with educational content and onsite catering. Round the day off at Arnold&apos;s Family Fun Center, where your group can strap into one of 75 go-karts and grab hold for the tight turns of a quarter-mile race track. Go ahead and let the rain fall; the indoor possibilities at Arnold&apos;s include laser tag, bowling, carnival-style rides and arcade play. 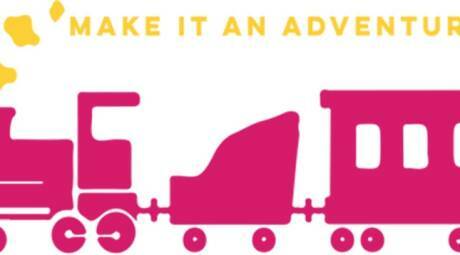 Take a ride on the Civil War-era Colebrookdale Railroad and marvel at one of the most scenic stretches in Montgomery County. Stop into the Boyertown Museum of Historic Vehicles, displaying not only local advances in the transportation industry but also a lovingly preserved 1938 diner. 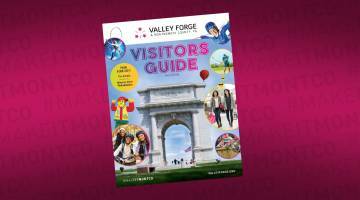 Pick up a step-on guide at the Valley Forge National Historical Park and learn first-hand how the men and women of the Continental Army persevered through the hardships of the winter encampment.